The 28-year-old Brit Adam Blythe will join Lotto Soudal again in 2019, eight years after he started international cycling career at the Belgian team. 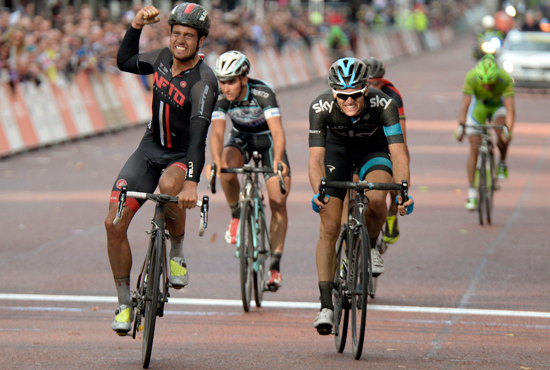 For the past two seasons, the Brit rode for the procontinental team Aqua Blue SPORT and in 2015 also for Mitchelton – SCOTT, where he already worked closely with Lotto Soudal’s new sprinter Caleb Ewan. Adam Blythe is very excited to be part of the WorldTour team again and wants to help his former teammate in winning as many races as possible. He has signed a one-year contract. 17 September, 2018, Santa Rosa, California (USA): Víctor de la Parte is the latest addition to the evolving Continuum Sports roster in 2019, joining Spanish countryman Francisco Ventoso in the team's line up. The 32-year-old gained recognition by winning two stages and the overall victory at the 2015 Tour of Austria while racing at the Continental level, before moving up to the Professional Continental ranks with CCC Sprandi Polkowice in 2016, and making his WorldTour debut with Movistar Team in 2017. "We are pleased to welcome Víctor de la Parte to the team in 2019. Although he is 32-years-old, Víctor has had a relatively short professional career and we believe we can help him to reach his potential at Continuum Sports, while playing a key support role for his teammates and taking his own opportunities," General Manager Jim Ochowicz said. 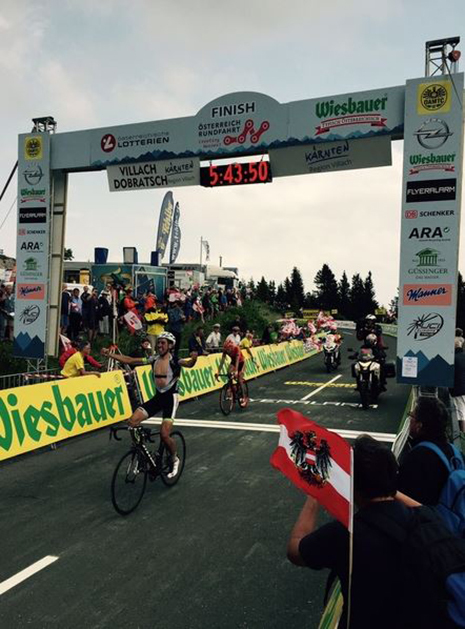 "Víctor has impressed in the last few years with some solid performances in stage races and time trials. This year, he was third at the Settimana Internazionale Coppi e Bartali time trial which shows his potential in the discipline. With our focus on time trials and the expertise of Marco Pinotti and our performance team, we can help Victor to improve further in 2019." De la Parte is relishing the opportunity to join Continuum Sports in 2019, which coincides with Polish shoe and bag manufacturer CCC becoming title sponsor. "For me, Continuum Sports is one of the biggest projects in cycling with big riders and many victories throughout the years, so it is a great pleasure to be part of the family. The 2016 season was a big step in my career and I will always be very thankful to CCC Sprandi Polkowice so it is also exciting to see the CCC brand step up to the WorldTour. CCC has been in cycling for many years and I think it is fantastic to see them become title sponsor of Continuum Sports," de la Parte explained. "I hope to play an important role in the team and continue to enjoy my career as a cyclist, while learning more and always improving. I'm looking forward to getting started with the team in 2019." UAE Team Emirates’ racing calendar will feature another two Italian events, the Giro della Toscana-Memorial Alfredo Martini (September 19) and the Coppa Sabatini-Gran Premio Città di Peccioli (September 20). The two Tuscan races will be the last two competitions for the Emirati team before the World Championships. 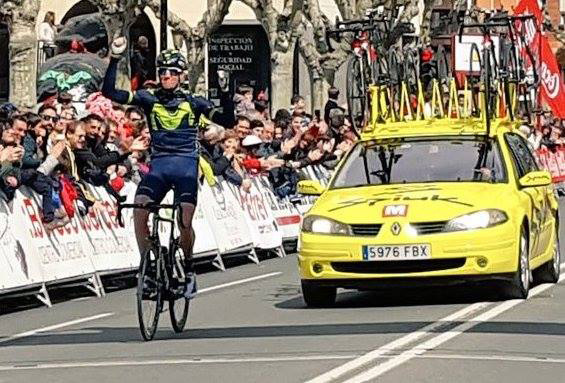 Rory Sutherland winning the 2017 Vuelta a Rioja. Speaking of the women's race, Team Sunweb coach Koen de Haan (NED) said: "The course is longer than last year at 53.8 kilometres and mainly flat through the valley. It will be a long, hard race but we're looking forward to it. We've done lots of good TTT training sessions throughout the year and made some really good steps. After last year's victory we've decided to invest even more to develop this discipline - organising several good TTT sessions throughout the year to work on the dynamics and we've made some really good steps. It's always hard to defend a title but whatever happens, the team have done the rainbow stripes proud this year with strong TTT wins at the Giro Rosa, Norway and Madrid." Team Sunweb's coach Adriaan Helmantel (NED) said: "Last year our Men's program surprised with the title and this year we are very eager to once again chase a medal. The course is totally different compared to last year, but we believe that we have selected a super strong team that are able to complete with the best teams. The competition is strong, but if we have all a top day then hopefully we can take a medal."